A young Kim Jung Il (the way the Leader Kim Jong Il's name is sometimes spelled in the West) entered the most prestigious university in the DPRK, that named after his father, the founder and Eternal President of DPRK; Kim Il Sung University, in 1960. His degree was in Marxist Political Economy and he minored in subjects such as military science and philosophy. On July 22 1961 a young Kim Jong Il joined the Worker's Party of Korea (WPK) and started joining his father on his famous "on the spot guidance tours" where visits to farms, production lines, etc were made and where employees were encouraged to increase production and given advice on how to work more efficiently. A lot of the DPRK media shows the leaders on their guidance tours and this is the case today too with the current Leader of the DPRK, Marshall Kim Jong Eun. Note on Kim Il Sung University: this is the best university in DPRK and the research department in Korean language has an excellent reputation. We cooperate with Yanbian University in China in helping arrange lessons both in Chinese mandarin and Korean and the material used by the Korean language department is either published by Yanbian University or referenced from Kim Il Sung University. Thousands of Chinese students have the chance to study Korean in South Korea each year, but the chance of studying at Kim Il Sung University is only available to two students with the best marks of the year. Please note that we arrange activities and visits to Kim Il Sung University mainly as part of our DPRK academic tours. If you may be interested in visiting Kim Il Sung University please do get in touch with us. 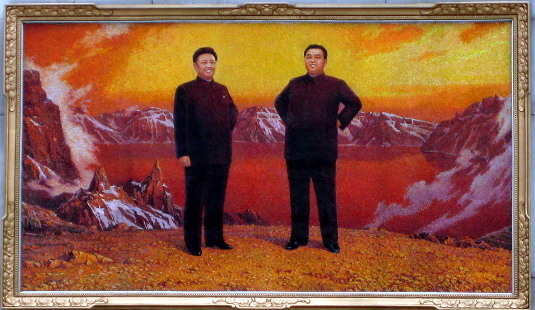 Please click here for more information on the life of the current leader of North Korea Kim Jung Il or on our North Korea Information section for more general information on the DPRK. If interested in knowing more about the Chinese Korean prefecture of Yanbian please check on our Yanji page.